More and more of us are choosing to stay in the U.K. over going abroad for our summer holidays, and with the vast array of beautiful landscapes that our country has to offer, it’s no wonder why! The only setback could be that it is difficult to decide where you want to go first because we truly are spoilt for choice. 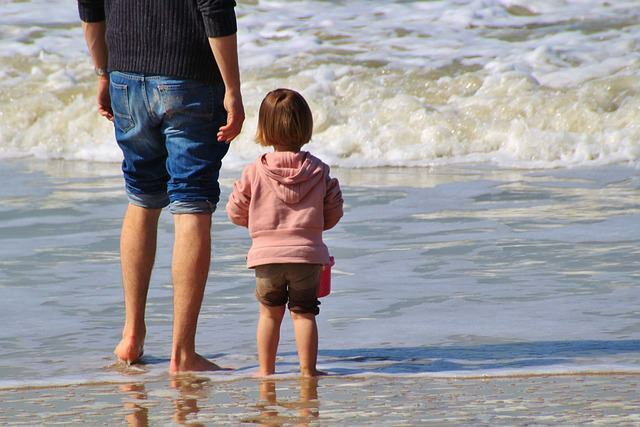 To help you decide the destination of your staycation this year, read our three reasons you should take a family holiday to Caister-On- Sea. You will find beaches in whichever coastal town you pick as your staycation destination but, unlike Caister- On- Sea, these beaches will not be on the “Golden Mile”- famous for its sandy “Georgian Beach”. Even if didn’t just want to visit beaches on this Golden Mile, you could spend every day of your holiday on a different beach just along the east norfolk coast, with beautiful beaches in nearby Scratby and Gorleston; or, if you wanted to explore more of the Norfolk coast, Wells-Next-The-Sea makes for a wonderful summer family day out. Though Caister-On- Sea is a small town, there is plenty to do in the surrounding areas. 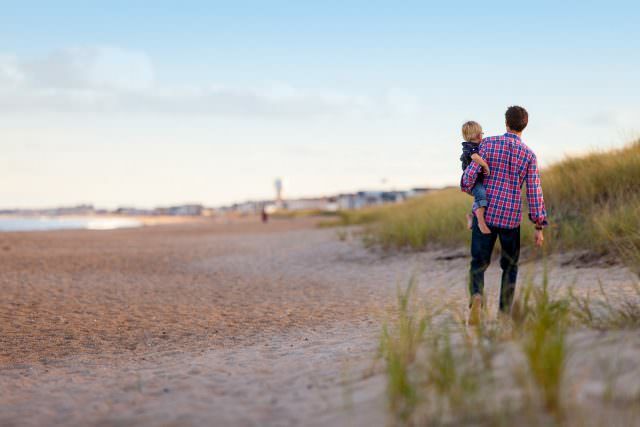 Whether you are an active family with older children who enjoy walking along the coast, or a family that prefer a slow-paced relaxing summer break, there is something for you in the area. Caister Castle is one of the main attractions in the town, and allows all ages to sample a piece of the area’s local history. Thrigby Hall, home to a wide range of exotic animals and birds, offers great entertainment for children of all ages and their conservation work makes it different to other zoos. Families with older children may enjoy Great Yarmouth’s Pleasure Beach, where the 85 year old ‘Roller Coaster’ is the second tallest and second fastest rollercoaster in the UK. There is also a wide choice of mini golf courses in the area, suitable for differing abilities and ages (and many are wheelchair and pushchair friendly!) meaning that everyone in the family can join in. Of course, your accommodation is an important part of choosing your holiday destination, but this needn’t be a worry with Eastern Beach caravan park in Caister-On-Sea. Just two minutes’ walk from the beach, it makes the perfect hassle-free family holiday destination. Caravans are finished to a high-quality, and are available with either two or three bedrooms, and there is something to suit all families and all budgets.  The club-house offers free wifi to everyone, as well as a play area for under 10s, and serves breakfast, lunch and dinner (including a delicious Sunday carvery! ), which means you will want for nothing during your stay here. These are just a handful of the reasons that Caister-On-Sea makes the perfect family holiday destination, whatever your interests. The only thing left to do is to come and enjoy it for yourself! The great thing about choosing Caister-On-Sea as your holiday destination is that there is so much to do for everyone, regardless of age and interest. This means that you don’t need to worry about finding suitable activities for the kids as you will be spoilt for choice! Here are some of our favourite activities for kids of all ages around Great Yarmouth and Caister-On-Sea. Rated as one of the countries top 10 leisure parks, Great Yarmouth Pleasure Beach is great for both thrill seekers and those that enjoy calmer, more traditional rides, making it a crowd pleaser. Entry to Pleasure Beach is free, and rides can be paid for either with tokens or wristbands (priced according to rides that your children wish to use), which means that you don’t spend money on people who don’t wish to use the rides. This is a great activities for kids that love to be outdoors. Suitable for children aged 6 and over and complete beginners, the riding school offers both open and private lessons, meaning you can tailor the experience to exactly what you wish to get out of it. 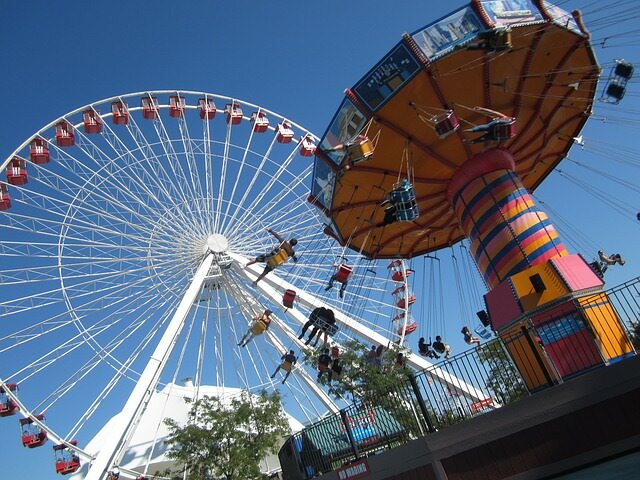 You should book your riding experience in advance to avoid any disappointment. Situated in the middle of Great Yarmouth’s Golden Mile (the perfect location! ), this pirate themed miniature golf course is a winner for all the family. 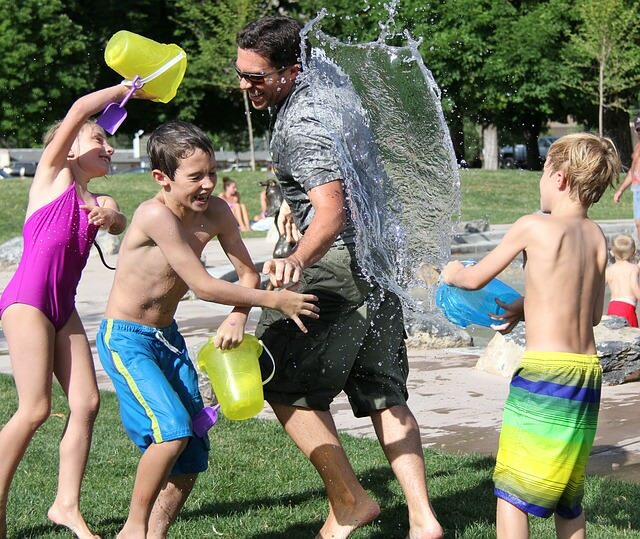 The course features holes of varying difficulty levels, meaning it is not so easy that the older children (and parents) aren’t interesting, but isn’t so challenging that younger children don’t stand a chance. The course is also wheelchair and pushchair friendly, so everyone can get involved! This indoor roller skating centre is the perfect activity for when the weather isn’t quite perfect and, given that it’s situated just off the seafront, it is easy to dash to if the weather takes a turn for the worst. As well as the main rink that offers a roller disco with UV lights, the venue has a separate rink for young beginners to learn in safety and an under 5s soft play area, making it suitable for all ages and skating abilities. You can also rent any necessary equipment, so there’s no need for preplanning! More than just a typical zoo, Thrigby Hall has a serious attitude towards conservation. Unique viewing platforms and raised walkways mean that you can get breathtakingly close to view the wide range of animals and birds at Thrigby Hall. The park is suitable for wheelchairs and pushchairs, meaning everyone can enjoy the brilliant work this zoo does to protect some of the most endangered animals in the world. These are just a few of the great activities for kids around Great Yarmouth and Caister-On-Sea, discover more for yourself as you holiday in this perfect location! 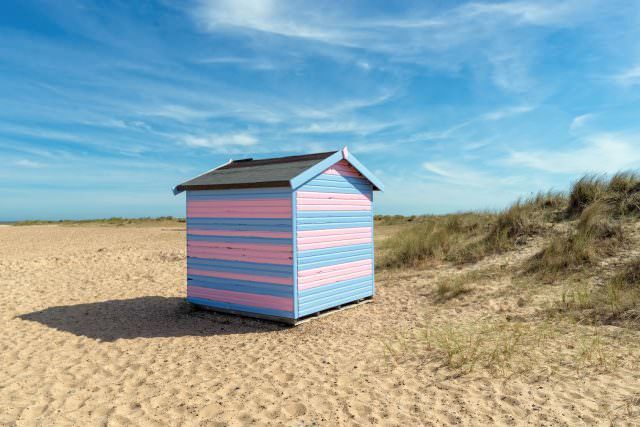 With the weather beginning to heat up and summer on the horizon, there’s plenty to do in and around Caister and Great Yarmouth this week. It’s Pirate Week at Great Yarmouth’s Sea Life Centre, and pirates young and old are invited to embark on a swashbuckling, seafaring adventure. Follow a map and obey the pirate rules in pirate cove and you could find the secret hidden treasure! All visitors who are brave enough to join the treasure hunt will become an official Sea Life Pirate, and collect a handsome reward! Come along to the Gorleston Pavilion Theatre this week for a traditional cabaret style theatre experience. Gypsy Productions return with the Summer Season Show, a fabulous feel good factor show featuring a song, dance, comedy and much, much more. Starting Thursday, the popular Great Yarmouth Beer and Cider Festival is returning to St George’s Theatre in Yarmouth. The festival, which runs from Thursday 18th to Sunday 21st May, will include around 50 real ales, craft beers and ciders, many of which come from local microbreweries. Attendees will also be able to enjoy some great music to go along with their pints, with music from Mammal not Fish, Tiny Giants, Ella Bruce, and The Misfit Collective. This Friday night our very own Eastern Beach will be hosting a jazz night, with Cool Blue, a 5 piece jazz band with Janice Oliver on vocals. Doors open at 19:30, and tickets cost just £5! Great Yarmouth and Caister are two wonderful seaside towns, full of fun things to do, and great sights to see. Yarmouth is the leading beach resort in Norfolk, famous for its popular Pleasure Beach. Caister, on the other hand, while smaller and quieter, nevertheless boasts some unique pleasures of its own. Between the two towns, there is so much to see and do, but in this week’s blog we’ve narrowed that list down to just 3 of the top things to do in Caister and Great Yarmouth in 2017. The Great Yarmouth Sealife Centre is one of the best sea life attractions in the country. Boasting over 40 displays, and 50 species of fish, it makes for a great family day out, particularly on a rainy day! A wide variety of sea life is on display here, including a green sea turtle and a juvenile blacktip reef shark, but perhaps the most popular is Nobby the Nurse Shark, one of the largest basking tropical sharks in the country. Another popular feature SeaLife Centre is the underwater walkthrough tunnel which houses a World War II aircraft wreck! Housed in the stunning fifteenth century Caister Castle, the Caister Castle Motor Museum exhibits one of the largest and most spectacular collection of famous and vintage motor vehicles in Great Britain. The museum features a collection of 170 classic cars, including the ‘first ever car’ the 1893 Panhard et Levassor, a Bugatti and a Bentley Speed 6 and two custom built Rolls Royces made for the film Chitty Chitty Bang Bang. One of Yarmouth’s most famous and best loved family attractions, the Merrivale Model Village is set in an acre of landscaped gardens, including waterfalls and a stunning lake. There is a wide array of displays for all the family to enjoy in the model village, including Merrivale Zoo, Merrivale Fire Brigade and replica Crown Jewels. 350 metres of miniature railways track also runs throughout the village, with a variety of different locomotive models to be seen. Elsewhere in Merrivale there is a 9 hole crazy golf course (included in admission price) as well as The Old Penny Arcade which houses a number of vintage slot machines such as ‘The Laughing Sailor’. For tired legs young and old, the Merrivale Tea Room is the perfect place to rest and replenish your energies. If you’re planning a holiday to the Great Yarmouth and Caister area, then Eastern Beach has everything you need. Book your holiday with Eastern Beach today, from just £155 per week. A short walk from the busier Great Yarmouth Beach, Caister Point is a small, dog friendly, family beach resort. Caister Point is a beautiful and extremely long beach, with stunning stretches of golden sand (mixed with pebbles) backed by sand dunes. Because it is less popular than some of the more commercialised beaches nearby, Caister Point remains relatively quiet all year round, making it the perfect spot for a lazy walk with the dog, or a fun day out with the family. If you head south along the beach you will find Caister Lifeboat Station, which has been here since 1791. Today, the station is manned entirely by volunteers, but the lifeboat men of Caister once held the record for the number of lives they saved. You can learn more about the fascinating history of the Caister Lifeboat Station in the Visitor Centre, located just opposite the Lifeboat Station. The beach is a great place to walk your dog, with no restrictions all year round. It is a particularly long beach, so there’s plenty of space them (and you!) to really stretch their legs. Elsewhere at Caister Point, keep your eyes peeled for visiting seals from the nearby colony in Horsey. If you’re planning a holiday to the Caister area then Eastern Beach has everything you need. Book your holiday with Eastern Beach today, from just £155 per week. What could make enjoying the beautiful Norfolk coast even better? Bringing your dogs along with you, of course! The great thing about Norfolk is that, whatever the time of year, you will find a beach that welcomes responsible dog owners. 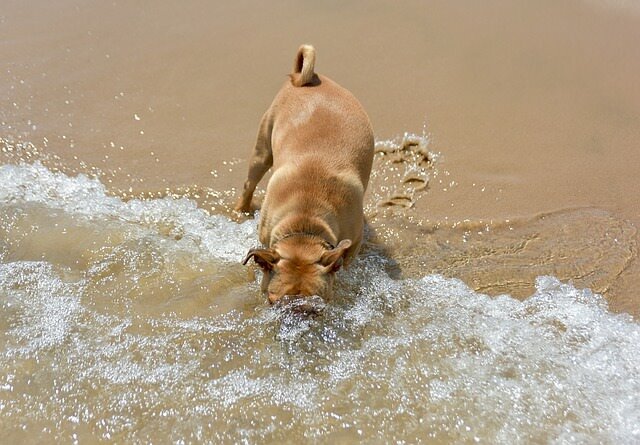 However, it is advisable to check for any seasonal rules for the specific beach you wish to visit before you bring your dog along, just to avoid any disappointment! 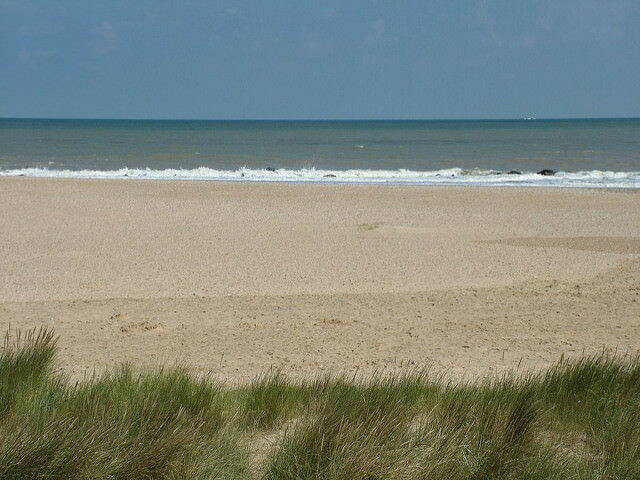 Even though Winterton is under half an hour from the bustling Norfolk coastal town of Great Yarmouth, it is never as busy, which makes it the perfect place to let your dog run free and enjoy the sandy beach that has no dog restrictions for the entirety of the year. It is worth knowing, however, that Winterton-On-Sea beach is part of the Winterton Dunes National Nature Reserves, which means you need to be mindful and keep your dogs under control during nesting season. Situated just North of Great Yarmouth, Caister Point beach boasts stretches of golden sand that make the perfect play area for dogs and has no restrictions throughout the year. If you are lucky, you may also get to spot seals (from the colony in nearby Horsey) in the water as your dog plays in the sand. Perhaps best known for the extent of its coastal erosion, Happisburgh is home to one of the classic candy-striped red and white lighthouse (to the south of which there are seasonal restrictions for dogs). This small coastal village is filled with history. In 2010 flint tools were found and in 2013 early human footprints were found, showing the oldest evidence of human existence in the United Kingdom. In spite of the restrictions (with fines) on dog walking on certain parts of Gorleston beach during the summer months, the traditional seaside feel of the town makes it well worth visiting the restriction-free areas of the beach, or the main beach in the winter months. After a walk along the sand with your dog, the promenade that runs alongside it offers plenty of cafés and benches to relax on. Much further in the North of Norfolk, Brancaster makes the perfect beach to visit with your dogs (just be aware of the small areas of restrictions during the summer months) and is definitely worth the drive. 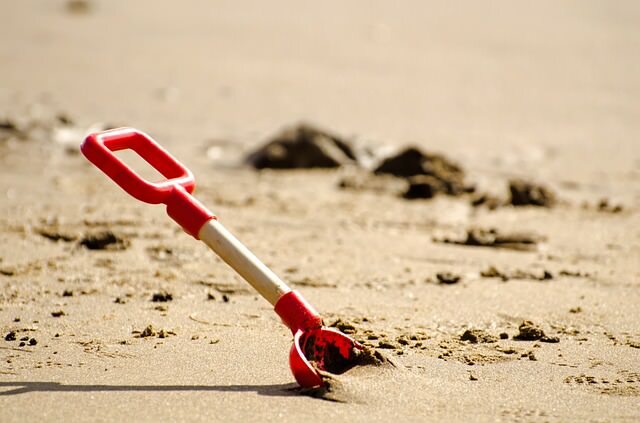 The beach boasts miles of sand, as well as very shallow water for your dog to splash around in. As your dog is busy enjoying and exploring the beach, if you visit at the right time, you may also get to see the impressive shipwreck of the SS Vina at low tide (though you should not attempt to walk out to the boat as the tide races back in very quickly, making it dangerous). If you’re looking for dog friendly accommodation in Norfolk, with great access to dog friendly beaches, then come along to Eastern Beach in Caister-On-Sea. Book your holiday today, from just £155 per week. You will be spoilt for choice when it comes to restaurants in Great Yarmouth, but sometimes having such a large choice can make deciding where to eat an impossible task. 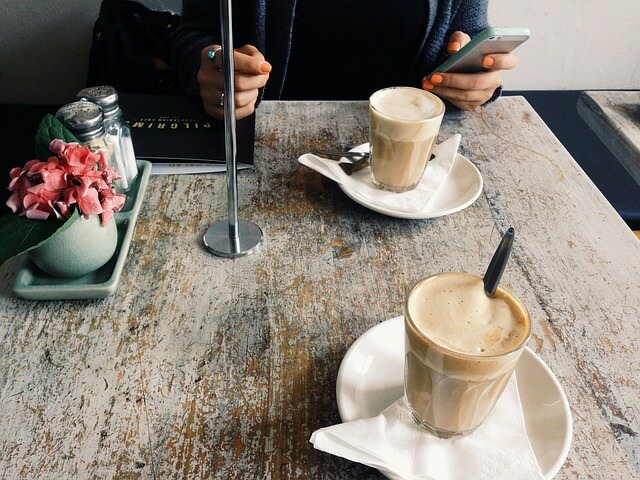 To save you the bother, we have selected five of the best restaurants in Great Yarmouth that you should try when you visit! What would a trip to the Norfolk coast be without sampling some of the local food? The Seafood offers a wide range of fresh fish and seafood dishes that are made with locally sourced produce wherever possible. Though slightly more expensive than elsewhere in Yarmouth, the quality of the food at The Seafood, and the carefully chosen wine menu, definitely makes it worth a visit for a special occasion. The family-owned restaurant opens for lunch during the week, as well as until 10.30pm in the evening Monday to Saturday, meaning it is easy to fit it into your trip to Great Yarmouth. Situated on South Quay, this restaurant specialises in Portuguese and Mediterranean foods, using local Lowestoft fish in their dishes. The restaurant is open for breakfast everyday (except Sundays), and you can enjoy food until 10pm Thursday to Saturday, making it the solution to all your dining needs! Quayside Plaza is also incredibly reasonably priced, with all main dishes under £20, and welcomes children of all ages, making it the perfect place for families. This tapas restaurant is incredibly good value for money, with set menus and early bird deals available. As well as its specialty tapas, the restaurant also serves burgers and pasta dishes. Champagne Charlie’s is open from Wednesday until Saturday, serving food between 6 and 9 pm, as well as reasonably priced drinks and cocktails and, being situated on Regent Road, it is easy to access from the main town after a busy day exploring Great Yarmouth. Located just a one minute walk from the seafront, you needn’t look any further for Indian food in Great Yarmouth than here. Savoy Tandoor also offer a takeaway service if you would rather enjoy the food in the comfort of your holiday home, delivering to addresses within a 5 miles radius of the restaurant. The combination of excellent food and faultless service and the fact that they are open from 5 pm until late Monday to Sunday means that Savoy Tandoori is not to be missed on your trip to Great Yarmouth. Pamela’s offers incredibly high quality British and French foods, open from 6.30pm until midnight Wednesday until Saturday. Booking is highly recommended because of the popularity of the restaurant, and is definitely worth reserving if you will be celebrating a special occasion during your time in Great Yarmouth. The restaurant’s menu is ever-changing, which means that, even if you have visited before, you are bound to be impressed by a different dish when you return. Pamela’s also has its own car park, making your visit stress free and easy. If you’re in the Caister and Yarmouth area this weekend then please come along to the grand opening of the newly renovated Eastern Beach Café and Clubhouse. Enjoy music, dancing, entertainment and fish and chips and a pint for just £7.95! The Eastern Beach Café and Clubhouse opens this Friday, 7th April. Today Caister-On-Sea is a quiet seaside town, a home for many, and a pleasant holiday retreat for others. Yet the Roman ruins which lie at the edge of town remind us that things weren’t always this way. The Roman ruins of Caister are a visible reminder that this small, English seaside town, was once at the forefront of the struggle for survival between the Roman Empire and the marauding Saxon hordes. Caister-On-Sea derives its name from these ancient military roots. The latin term ‘castra’ means fortress, which, in the mouths of our ancestors, who brought with them their own languages and dialects, morphed over the years into ‘Caister’. The Roman Fort which gives the town its name was built in the third century AD, probably between the years 225 and 285. It was part of a wider network of defences referred to as Saxon Shore forts. These were built across the south east of England, and were designed to protect against the Saxon raids which increased in intensity around this time. Caister locals and visitors to the inland fort will be surprised to learn that it was originally situated on an island in the confluence of the rivers Waveney, Yare, Ant, and Bure. Over many hundreds of years the estuary silted up, leaving the former ‘shore fort’ stranded firmly inland. The original fort was about 3.5 hectares in size and square in shape. This makes Caister a significant, and larger than average, Roman fort. In its heyday it played host to a large garrison of sailors, infantry and cavalry, consisting of between 500-1000 men. There were at least seven rooms on the site, with a courtyard, and underfloor heating system. The fragments found in later excavations suggest that the interior would have decorated. The function of the site appears to have changed over time. In the third and fourth centuries, domestic and industrial activities were carried out here. During this period a fire ravaged the site. A domestic accident, or a devastating raid from the invaders the fort had been designed to protect against? With the collapse of the Roman Empire in the fifth century, the fort was abandoned. For over a hundred years the site remained in disuse, before being reoccupied, ironically, by the Saxons who had now settled in Eastern England. Subsequent excavations suggest that the Saxon occupants may have come from the elite, possibly monastic, section of Saxon society. It is not known at which point the fort was abandoned entirely. More than likely, it gradually failed to serve any purpose for the Saxon and later Norman community of Caister. In such cases, locals would probably have stripped the fort of anything valuable, including the physical structure itself which could be repurposed elsewhere (such was the fate of the Coliseum, and many other Roman buildings across the world, large and small). We do know that the one of the walls of the fort still stood above ground in the early 17th century, though it had been demolished entirely by the 18th. Thus the former fort remained until the archaeological excavation of 1951, which began to tease out the history of the site. Many important objects were uncovered, including a carved figure of the Roman God Mercury and bronze plaques. Elsewhere, rings, bracelets and hairpins were excavated, suggesting that women and children lived within the fort at some point. Today, the ruins of the Roman fort of Caister are managed by English Heritage, and are open for free to the public all year round. What’s On This Weekend In Caister and Great Yarmouth? As we approach the Easter holidays there’s plenty of activities, events and entertainment going on for adults and children alike in the Caister and Great Yarmouth area. Read on for just a few of the highlights. To celebrate the reopening and renovation of the newly renovated Eastern Beach Café and Clubhouse there will be a night of live music, magic and entertainment at Eastern Beach this Friday, 7th April. Doors open at 6:00 PM, and live music begins at 7:30 PM. Admission and parking are free, and you can enjoy fish and chips and a pint for just £7.95! Come along and join the fun at Eastern Beach Manor Rd, Caister-on-Sea, Great Yarmouth, NR30 5HH. The much loved musical the Blues Brothers Experience comes to Great Yarmouth’s St George’s Theatre this Friday. Get on your dancing shoes and come along to St George’s Theatre this Friday to the UK’s leading Blues Brothers tribute act. All the Blues Brothers classics are on show, including ‘She Caught The Katy’, ‘Think’, ‘Sweet Home Chicago’, ‘Gimme Some Lovin’, ‘Soul Man’, and ‘Everybody Loves Somebody’. Tickets are £18 and the show begins at 19:30. Head down to the Hippodrome Theatre for the all action, swashbuckling adventure, Pirates Live! The show is part of the Easter Pirates Water Show which starts on Saturday 1st April till Sunday 23rd April. Brings the kids along to a day they won’t forget daily from the 1st to the 23rd of April at 2.30pm and 6.30pm. If you’re a car enthusiast then come along to the Anchor Plaza to the American & Classic Car Display. Expect to see hot rods and Harleys, and many more American motoring masterpieces. Entry is free, and the American & Classic Car Display can be found at the Anchor Plaza in April on the 2nd and 16th. Delve into the history of the doomed ocean liner, the Titanic at this touring exhibition which features genuine artifacts from the ship. Celebrate the start of the Easter season with this family friendly Easter Treasure trail in Great Yarmouth. The treasure trail entails looking for clues in shop windows in the town centre. To get involved just pick up a form from one of the participating shops. Complete the trail successfully and you enter a draw to win tickets for some great local attractions such as Pleasurewood Hills, Merrivale Model Village, Somerleyton Hall, Great Yarmouth Racecourse, Fairhaven Woodland and Water Garden and Hirstys Family Fun Farm. Caister-On-Sea and its surrounding areas are beautiful, and what better way is there to discover this beauty than on a walk? There are easy, leisurely routes that are under three miles, as well as harder routes over seven miles, which means whether you are looking for a brisk morning walk or a day-long activity, there will be a walk to suit your needs. One of the best things about walking in this area is the distinct lack of hills, but a huge range of walk lengths, making a walk in this area a fun family activity as well as a challenge for more experienced walkers. Take a picnic with you to enjoy along the way, or stop in a nearby pub or fish and chip restaurant to sample some of the great local food to finish off your walking experience. Located in Gorleston, another seaside town around 7 miles from Caister-On-Sea, this walk is perfect for families as it is both wheelchair and pushchair accessible. At just 2.1 miles long, it is also not too taxing for those that are on foot! The circular route will lead you around the promenade from its starting point at the harbour mouth, and will offer you views across the sea to the Wind Farm at Scroby as well as the Outer Harbour. This walk is classed as ‘easy’. Find the route map here. This circular walk will lead you from the larger seaside town of Great Yarmouth to Mautby, just outside Caister-On-Sea. 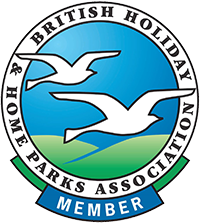 It starts at Bure Park, on the outskirts of Great Yarmouth, and will allow you to appreciate some of the rural and coastal beauty in the area. This is classified as a walk of moderate difficulty and is 6 miles long, which means it may not be suitable for families with young children, but would not be too taxing for intermediate. Find the map of the route here. This seven mile circular walk starts at Fleggburgh village hall, just five miles from Caister-On-Sea. The route will lead you through the villages of Fleggburgh and Stokesby, along the river and through the Norfolk countryside, where you can stop for a drink in a pub in either of the villages or the tea room in Stokesby. The route will take up to four hours, depending on whether you take a leisurely stroll or prefer a faster pace. You can find the route map here. When visiting Caister-On-Sea, you shouldn’t be afraid of venturing out a little further from the town, as some truly beautiful walking routes can be found in the area. Even on the easier routes, it is still advisable to wear supportive footwear, as the terrain in coastal areas is varied.